It seems that resolutions are a bit out of favour this year. Lots of people seem to be shunning them on social media and declaring that, “I am good enough.” And of course we are good enough! No one should feel as though they HAVE to make resolutions. But personally, I’ve always enjoyed making them. I find the process quite cathartic, and a good opportunity to reflect – as well as look forward to the year ahead. The process of goal setting is really important to us as human beings. It helps to give us direction, purpose, meaning and fulfilment in our lives. Having goals can help boost our happiness levels because of the sense of progress and achievement they give us. Here are a few simple steps to follow to help you set achievable goals for the year ahead. This first step is so important but is often overlooked. Find some time when you can stop and have a think about where you are with your life right now. Sometimes we’re so obsessed with thinking about the future, we actually forget to evaluate the here and now. Be honest with yourself and your current situation. What do you like about your life now? Think about work, your relationships, your finances, your personal situation. What do you really and truly want to change? This is the fun part but you’ve got to really let yourself just go with it, okay? Allow yourself to DREAM for a moment. No rules or restraints. No one telling you it’s silly. What would your dream life look like? Where would you live? What would you do? Who would you be surrounded by? What makes you feel excited, what makes your heart race? I’ll be honest and admit that I find dreaming without limits really hard. I think society kind of sets us on a path and we find it difficult to let ourselves imagine that we could take a different one. I’m quite sensible and practical at heart, so I think I definitely need to practice dreaming! Now you have your dreams, it’s time to start coming down to earth a little. Which of those dreams are most feasible? Which ones would you prioritise? Start trying to put them in order. Okay, now the hard work begins! Let’s turn those dreams into GOALS. To set achievable goals, your goals must be SMART. If they’re not, then success is much less likely. And the whole point of this post is to make sure you’re setting yourself up for success so that you can feel happy and fulfilled. I’m a management grad so I am very familiar with SMART goals. Here’s a quick rundown of what SMART goals should look like. Look at each dream and turn it into a SMART goal, or set of goals. This will take a bit of time but I promise you it will be time well spent. If your goals feel too huge, then just break them down into smaller, bitesize goals. They’ll feel much more achievable and you’ll benefit from seeing your progress towards the bigger goal. Take a deep breath, and plan your first step. Then the next, and the next! This is oh so important! Be accountable! Don’t just keep all those lovely goals in your head. 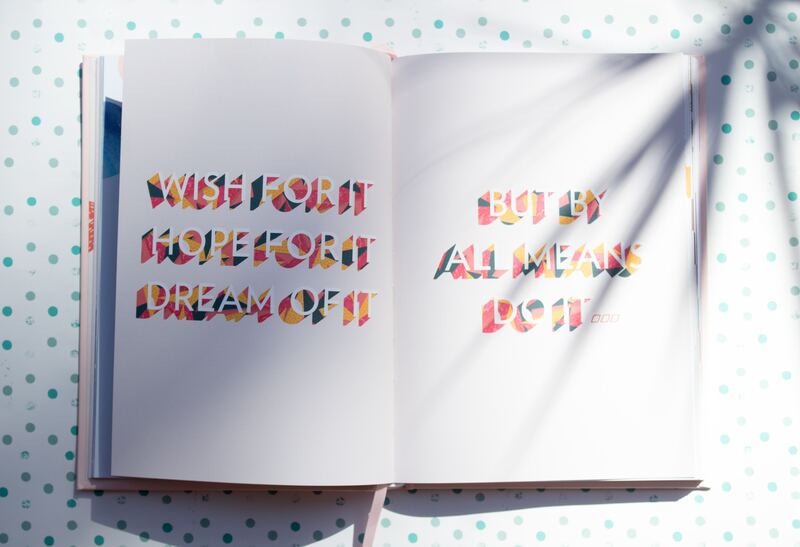 Buy a gorgeous notebook and write them down so that you can read them each day and remind yourself to stay on track. You could also get an accountability partner – share your goals and then check in with each other on a regular basis for moral support. Perseverance is a value our children are taught repeatedly at school and is one that we, as parents, need to put into practice too! I know how easy it is to give up when you’re finding it tough going. Achieving your goals isn’t always going to be easy. But stick with it. You can do this. I BELIEVE! Celebrate each small step you achieve towards your bigger goal – even if it’s only small, you should reward yourself for making progress and getting nearer to achieving your bigger goals. Reviewing your goals is another very important step that often gets missed. Take some to evaluate how things are going. Are your goals having the desired effect on your life? You should be feeling positive, motivated and engaged. If not, then consider why. If you realise it’s because you set the wrong goals to start with, it’s okay to amend them. Don’t stick with a goal that isn’t working for you. They’re not meant to be a heavy weight on your shoulders – that’s the opposite effect your goals should be having. They should be driving you forward, not weighing you down. I’m not going to lie, this is a biggie and isn’t always straightforward. Sometimes you set goals that you think you should be aiming for when, in fact, they’re misaligned with what you really want to do with your life. Your purpose. This is why that ‘dreaming’ step is so important. Finding your purpose is a deep, soul-soul-searching question and often, it can take quite a bit of time and thought to work out what your purpose really is. Don’t worry if you haven’t figured it out yet – it’ll come. I really hope this post helps to give you some focus so that you can set achievable goals for the year ahead and beyond. What’s the biggest goal that you’ve set yourself this year? Make yourself accountable and share with us in the comments!